On tax days, it’s not hard to spot marijuana growers waiting to exhale in downtown Eureka. They haul cash in grocery bags and boxes, making their way to a state office where they can pay their taxes. California still doesn’t have a better way to collect taxes from its burgeoning, licensed marijuana industry three years after voters passed an initiative to legalize recreational cannabis and 23 years after they sanctioned medical marijuana. That won’t change as long as marijuana is considered an illegal drug by federal authorities, which makes banks reluctant to do business with the cannabis industry. But from Eureka to San Diego, the state is making some headway in easing obstacles that kept cannabis entrepreneurs from paying their state taxes and fees on time. For starters, California finally has state tax collectors stationed in the heart of the so-called Emerald Triangle, which produces most of America’s marijuana. The tax collectors work out of a Humboldt County building with support from state and local law enforcement officers. That’s a big change. Until last year, state-licensed marijuana companies from Humboldt, Mendocino and Trinity counties had to drive hundreds of miles with bags full of cash to pay their taxes at the nearest state offices in Sacramento or in San Francisco. On the opposite end of the state, California tax offices in San Diego County simply refused to accept money from cannabis companies in 2016 and 2017 after state workers worried their offices weren’t equipped for that kind of cash businesses. Their fears persuaded elected representatives overseeing regional tax offices for what was the Board of Equalization to prohibit cannabis growers and retailers from making cash payments at state offices in their districts. “You have to think about hostage situations,” former Board of Equalization member Diane Harkey said at a December 2016 meeting where she explained why she was reluctant to permit cannabis cash transactions at offices she oversaw without significant investments in security. Her colleague former Board of Equalization member Jerome Horton at the same meeting suggested state workers should receive “combat pay” for working with hefty cash payments. Russell Lowery, Harkey’s former chief of staff, said the Board of Equalization allowed alternate payment arrangements at the time, such as tax collectors meeting cannabis growers at banks and depositing funds directly into state accounts. Those visits were not promoted because of security fears, he said. State Treasurer Fiona Ma, who was on the Board of Equalization at the time, said the state did not lose money because of the inconvenience. The Board of Equalization no longer has power to allow varying tax collection policies around the state. Its tax-collecting responsibilities have been handed to the California Department of Tax and Fee Administration, which reports to the governor instead of a board run by regional elected leaders. Tax department Director Nicolas Maduors said cannabis companies now can make cash payments at 11 offices around the state. The department has invested security features at its offices and no one has been harmed. State workers are still nervous about the practice, and he asked that The Sacramento Bee not identify the locations that accept cash. Cannabis companies call ahead of time. Transactions take place in the presence of security officers. “We’re doing all that we can with law enforcement, retrofitting facilities to make sure we can keep people safe,” he said. Next month, several state departments plan to open a new “one stop shop” for the marijuana industry in Eureka. It’ll open in the Eureka Times Standard building with space for the Bureau of Cannabis Control, Department of Public Health and State Water Resources Control Board. The tax department does not plan to move from its county-managed building with the other cannabis regulatory departments. Gov. Gavin Newsom’s administration projects the state will collect more than $500 million in marijuana-related taxes next year. It doesn’t all come in cash. Many marijuana businesses have found ways to work with credit unions and other alternative financial institutions to pay tax. Lawmakers are working to expand those opportunities. Last week, a bill that would encourage charter banks and credit unions to work with the cannabis industry cleared a Senate committee. Carver of from the Humboldt County Growers Alliance said the state had done a “good job” working with her industry. “The complication doesn’t necessarily come from the state. The complication still rests on the federal level because a lot of our businesses are still unable to bank,” she said. Although the California marijuana industry has hoped for tax relief as it struggles to compete with a thriving illicit market, a tax increase could be on the way. A tax hike would hit cannabis companies’ bottom line and could drive more consumers into the illicit market in search of cheaper marijuana products. But an increase isn’t a foregone conclusion. Moreover, a tax cut could occur. The California Department of Tax and Fee Administration (CDTFA) uses a 60% markup rate, along with the average market price of wholesale marijuana, as a basis for the state’s 15% marijuana excise tax. That markup rate has to be recalculated every six months, and CDTFA Director Nicolas Maduros told an industry conference this week in Sacramento the excise tax may go up this summer. “We’re responsible for resetting that markup rate every six months, so it will be reset July 1,” Maduros said, when asked during a panel with other MJ regulators. “It’s based on market data, and I think particularly once …track-and-traceis more fully utilized, that we’ll have some better pricing data to figure out what that markup rate should be,” Maduros said. The state track-and-trace system launched in January but is only used by cannabis companies with annual business licenses. And so far just a fraction of the legal companies have obtained those permits, which means most of the industry isn’t feeding data into the track-and-trace system. “We’re administrators, so it’s not up to us to sort of use that as a way to lower or increase the tax burden. We’re simply looking at what the facts are. It’s up to the legislature … to determine what the actual tax rate is,” he said. It’s worth noting, however, that the rate also could either decrease or stay the same. A CDTFA spokesman said in an email that there’s also no cap on how much the markup rate could increase – or decrease. Maduros said after the panel that any decision on the markup rate and the excise tax will not be made until June at the earliest. The markup recalculation would not affect the state cultivation tax, which is $9.25 per ounce of flower, $2.75 per ounce of leaves and $1.29 per ounce of fresh plant. But, Drayton emphasized, it’s possible the excise tax may either stay the same or even decrease, and said it’s too early to tell what will happen with the CDTFA’s recalculation. “I think we need full implementation of Metrc and track-and-trace before we consider any increase,” Drayton said. Separately, a state bill to temporarily reduce state cannabis taxes is awaiting hearings in the California Legislature. If successful, Assembly Bill 286 would reduce the excise tax from 15% to 11% and suspend the cultivation tax until 2022. When California, the most populous state in America, legalized recreational marijuana last year, many had high hopes for the industry, writes Joseph Misulonas. But unfortunately, it appears initial projections for the success of the industry were a little off. The California Department of Tax and Fee Administration announced that in 2018 the state collected $345.2 million from marijuana taxes. While that is a huge number, it's actually only slightly more than half of the state's initial projections of $643 million in tax revenue that they predicted they would receive in 2018. Many have argued why the state didn't make more money off of legal sales. The biggest reason seems to be the tax rate. California has some of the highest cannabis taxes in the nation, and customers can sometimes pay tax rates up to 45 percent on their marijuana purchases. These high prices are forcing many cannabis users to continue purchasing black market marijuana. This would also explain why California cannabis sales actually decreased between 2017 and 2018, despite it being legal recreationally last year. 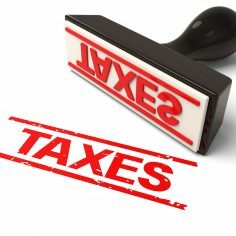 Despite the fact that almost everyone acknowledges the tax rate is an issue, California legislators continue dragging their feet on the issue and not passing bills to lower the rate, despite several proposals to do so. The good marijuana news for GWPH is that the organization is giving its approval to Epidiolex. This is a type of oral solution for the treatment of seizures. This includes seizures from two types of rare epilepsy: Lennox-Gastaut syndrome and Dravet syndrome. This bit of marijuana news marks the first time in the history of the U.S. that the FDA has given its approval to a purified drug derived from marijuana. However, customers with concerns about psychoactive effects from the drug need not worry. Epidiolex won’t be causing psychoactive effects comparable to marijuana. That’s because it doesn’t contain tetrahydrocannabinol (THC). THC is the active ingredient in marijuana that causes the “high” that users experience. Instead, patients are taking cannabidiol (CBD), which is another component of the drug. The FDA notes that the current Controlled Substances Act requires Epidiolex be listed as a Schedule I substance due to its connection to marijuana. However, it has looked over the abuse potential of the drug and is advising the Drug Enforcement Administration on how to handle the situation. The effects of Epidiolex could very well be a boon to patients with the two forms of epilepsy mentioned above. The drug went through three randomized, double-blind, placebo-controlled clinical trials to determine its effectiveness in treating the two diseases. It was shown to be more effective at reducing seizures, when taken with other drugs, than a placebo during these studies. YouTube has been systematically shutting down marijuana-centric channels on its video-sharing site with little-to-no explanation since at least early 2018. Cannabis YouTubers—or WeedTubers—have been dealt channel strikes, suspensions, and restrictions on the same platform that seemingly used to embrace them. In addition to receiving little information about the purge, creators have been left confused by YouTube’s inconsistent enforcement of standards and policies concerning cannabis content. “As soon as they decided to close all of our channels down, it’s just been radio silence for every single one of us,” said Josh Young, creator of the channel Strain Central. Young had been a WeedTuber since 2014, even getting a tattoo of YouTube’s iconic red, “play” button logo on his wrist when he hit 100,000 subscribers about two years ago. He had cultivated a following of nearly 500,000 subscribers with educational cannabis content until his channel was shut down in late April. Young still sees the tattoo as a reminder of how he found both his passion and voice in his YouTube videos but is disappointed to see his channel disappear without a clear explanation. Huge brands including Pepsi, Walmart, and Verizon—in addition to institutions like the U.K. government—pulled their ads after finding that their spots were featured alongside problematic videos touting political extremist views and hate speech. AT&T issued a statement: “Until Google can ensure this won’t happen again, we are removing our ads from Google’s non-search platforms.” A resounding message heard not only by employees at YouTube, but the creators who relied on the platform for their livelihood. As over 400 hours of video are uploaded to YouTube every minute, scouring that content is a huge task—one predominantly carried out by algorithms. Though creators may submit appeals, the process can take several days to complete. This lag upset several creators, who began jumping ship to other platforms, such as Twitch, or soliciting donations via Patreon or PayPal to continue their channels. The crackdown on content didn’t save YouTube from its next controversy. In December of 2017, YouTuber Logan Paul posted a video depicting a suicide victim in Japan’s Aokigahara forest. Though YouTube condemned the video, Paul, who has 17.5 million subscribers, was not permanently booted from the platform. Yet the most shocking turn of events came on April 3, when a 38-year-old vlogger shot and wounded three people at YouTube’s San Bruno, CA headquarters before taking her own life. Her videos, whose videos were largely focused on fitness, veganism, and animal rights, had expressed frustration over YouTube’s policies, claiming that many of her videos were demonetized. All of this sets the scene for what cannabis content creators claim is now happening with their channels, over a year from when this so-called “Adpocalypse” hit. What’s Happening to Cannabis Channels? WeedTubers’ channel restrictions and deletions seem to follow a similar pattern. First, content creators first receive a strike. According to YouTube’s guidelines, strikes can be issues for a variety of issues, including copyright violations; harmful, dangerous, or hateful content; scams, or “misleading metadata.” One strike can stop the channel from live streaming, while two within a three-month period prevents the posting of any new content for two weeks. Strikes are not permanent, can be appealed, and will expire in three months’ time. However, if a channel receives three strikes in three months, that account will be terminated. It’s this strike-to-deletion pathway that seems common among cannabis channels, regardless of the type of content posted. Matthias Gast said he racked up three strikes on his channel, Matthias710WRX in February. He typically posted reviews of dabbing products and videos in which he took “massive dabs” for his some 100,000 subscribers. The first strike was on one such CBD review, in which Gast took a half-gram dab and gave his thoughts on how he felt. He admits the second video strike, which featured the inclusion of a psychedelic mushroom, made more sense to remove. Yet his third came minutes after posting a video about a trip to Hawaii containing footage of him taking dabs and smoking, and his account was terminated within the span of a week. Gast said he was sent a generic email which indicated he was not following the platform’s terms and conditions. Similarly, Joel Hradecky’s channel boasting 1.5 million subscribers, CustomGrow420, was deleted earlier this year, only to have it reinstated on June 6 without notice. Like Gast, he said he received generic emails from YouTube without specific answers. In one such email, of which he posted a screenshot to his Instagram account, YouTube writes they do not allow content that “encourages or promotes violent or dangerous acts that have an inherent risk of serious physical harm or death.” Examples included drug abuse, bomb making, and underage drinking or smoking. Clark Campbell and Alice Addison, a Los Angeles-based couple who posted cannabis and lifestyle content to their channel, That High Couple, had their channel suspended in April. Campbell works as a digital community manager for a Multi-Channel Network, which means his day job is to work with influencers and content creators on growth strategies. In his experience operating under YouTube’s policies, he sees the rise in strikes and flags as the likely result of an algorithm, not a human monitor. “Across the board, we’re seeing cannabis tags and cannabis-related titles and topics [being removed]; those are the ones that at least the algorithm, on its basic level, is picking up, flagging, and removing,” Campbell said. The High Couple received their first strike on April 19 on a video explaining how to roll a joint, followed by a channel suspension. When their channel was reinstated, it came back with two strikes; the second strike was on a 360 tour of a dispensary in Vegas. The couple is now afraid to post any new content, for fear of a third and damning strike. So, they intend to move their cannabis content elsewhere and only post lifestyle and travel content to YouTube. While some cannabis YouTubers have had their presence wiped out with no clear path to return, Matt Lamb, who posts educational and how-to content to his Ruffhouse Studios channel, has had his channel reinstated, though not without much back and forth. Lamb found YouTube supportive when he first started his channel in 2011. He enjoyed repeated invitations to YouTube’s space in Los Angeles, where he both produced content and used their equipment. Another time, said he was introduced to various brands like Chipotle and SweeTarts at a party; he was one of about 15 to 20 other creators and the only cannabis creator present at the time. Yet about a year ago, he began experiencing demonetization, followed by the complete deletion of his channel. When he reached out to YouTube to ask why, he was told he was using spiders or bots that would artificially inflate view counts, generating fake traffic. Lamb denies this, and said YouTube provided no evidence of what he had supposedly done. On May 29, Lamb’s channel was reinstated and he was sent an email indicating the channel did not violate the platform’s policies. Browse his channel today, and you’ll find his over 400,000 subscribers and video content in tact. Lamb still, however, doesn’t know what went wrong in the first place. Why the Purging of Cannabis Content? Given the range of reasons provided in YouTube’s vague emails and the absence of personalized communication, many WeedTubers are left wondering why — and, especially, why now. High Times reached out to YouTube for a statement, and have not received a response at the time of this writing. Without a clear answer, theories abound. One might argue that cannabis is a stigmatized drug that remains federally illegal, but it’s also considered a medicine in 29 states and legal in 9, as well as D.C. Although this would seem to go against the trend of YouTube not only allowing cannabis content, but seemingly encouraging it for quite some time with invites to film in the YouTube Space with studios and equipment or partner managers assigned to WeedTuber accounts prior to the wave of deletions. Some hypothesize that YouTube is attempting to become more brand-friendly and more appealing to TV advertisers. Lamb notes that some bigger content creators who cover cannabis but already have ties to TV, like Snoop Dogg and VICE, have been permitted to stay on the site. Others believe the platform is simply still trying to clean up its content after the Logan Paul outrage by bumping off smaller creators. While cannabis seems to be the common denominators among the WeedTubers we spoke with—whose subscriber counts and content styles vary—it’s not the only genre of channels that’s been experiencing strikes, suspensions, and deletions. Following the Parkland shooting, conspiracy theory and firearm channels began complaining of similar treatment. In 2017, LGBTQ creators found their videos were being placed in restricted mode. It seems the algorithm, blindly flagging and restricting videos containing anything that might be construed controversial in the slightest, is at the core of the confusion leading creators to criticize the lack of transparency at YouTube. And if YouTube is unable to clarify what, exactly, is acceptable on its platform, they could stand to lose a fair amount of creators—which may not matter to them if they’re still getting those advertiser dollars. For creators, it may mean seeking out new, more accepting platforms, or finding niche platforms centered around the communities they love. Marijuana industry and patient advocates joined state legislators at a news conference Thursday to condemn Gov. 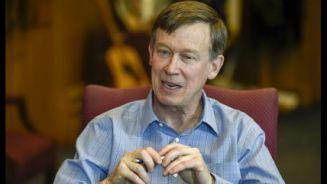 John Hickenlooper for vetoing three marijuana-related bills in the past week in a state that saw $1.5 billion in medical and retail marijuana sales in 2017, according to the Colorado Department of Revenue. Bruce Nassau, board chairman of the Marijuana Industry Group, said the veto of House Bill 1011 is especially troubling for the industry. “I have spoken with, I would say, three or four different organizations, a couple of whom have indicated a consideration to leave the state because of the now lack of availability of public capital,” Nassau said. The Pennsylvania Department of Health approved two major changes to the state’s medical marijuana program on Monday. First, the health department added opioid addiction to the list of conditions eligible for treatment with medicinal cannabis. With that decision, Pennsylvania joins New Jersey as the only two states that have done so. Pennsylvania Secretary of Health Dr. Rachel Levine told local media that marijuana won’t be the first treatment for addiction to opioids. Instead, doctors will try more traditional therapies first. Opioid addiction has exacted a grim toll in Pennsylvania, particularly in the state’s largest city, Philadelphia. Officials attribute about 1,200 deaths in the city in 2017 to drug overdoses. The Department of Health also approved cannabis research licenses for five Philadelphia area medical schools on Monday. One topic researchers at the institutions want to study is the potential role of cannabis in addiction treatment. The schools that received approval to study cannabis are Drexel University College of Medicine, Lewis Katz School of Medicine at Temple University, Sidney Kimmel Medical College at Thomas Jefferson University, Perelman School of Medicine at the University of Pennsylvania, and Philadelphia College of Osteopathic Medicine. Pennsylvania’s health department also approved several other changes to the MMJ program on Monday. In a boon for patient choice, regulators have approved cannabis flower for sale at dispensaries. Since the program began earlier this year, only more expensive cannabis oils have been available. The law does not allow the smoking of marijuana, but patients will be able to vaporize cannabis flower. Chris Visco owns Pennsylvania dispensary chain TerraVida Holistic Centers. When adding flower was first proposed, he said that the change would make patients’ medicine less expensive. The health department also revised the program’s definition of chronic pain. Now, patients will not have to treat the condition with opioids before receiving a recommendation for medical marijuana. The new regulations for Pennsylvania’s medical marijuana program will go into effect on May 17. The question of how employers will handle drug tests grows more complicated as cannabis becomes legal in more places. This is especially true in Canada right now, as full legalization is on the immediate horizon. Most recently, as a man fired for smoking weed gets his job back with bonus compensation in Thunder Bay, Ontario, many of these questions are coming into better focus. In October 2017, two workers at Bombardier Transportation were fired after a supervisor said he saw them smoking weed at work. More specifically, the supervisor said he saw the men taking their afternoon break outdoors. He said he smelled a strong odor of marijuana coming from their direction and saw smoke. Further, the supervisor said that when he approached the men, he saw one of them toss something to the ground. The object smoldered and then went out. However, the supervisor was unable to find anything when he searched the ground. Despite not finding any physical evidence, the supervisor brought the two men to Human Resources. Throughout the entire incident, the two men insisted that they hadn’t been smoking weed. They also said that they would probably fail a drug test since they smoked at home on their own time. Regardless, the company fired both men. Now, a few months later, one of the men has been reinstated. His co-worker’s case is still ongoing. But for the man who got his job back, things have worked out pretty well. The arbitrator handling his case said that Bombardier Transportation did not have just cause to fire him. As a result, the company was required to give him his job back with no loss of seniority. Additionally, the company had to compensate the man for lost income during his months of unemployment. Along with citing lack of evidence, Craven also brought up the issue of Canada’s pending legalization. Similarly, he cited concerns with drug testing protocols. In particular, Craven said that drug tests do not accurately determine whether or not a person is impaired at the time the test is administered. Ultimately, this case also highlights questions about employment and legal weed. Canada is preparing for federal legalization, which is scheduled to occur sometime this summer. In the age of legalization, many have wondered if it makes sense to allow companies to screen employees or potential employees for marijuana use. This particular case suggests that policy could be moving toward protecting cannabis users. Months away from national legal recreational marijuana, this city in Canada wants to ban all public cannabis consumption. Lawmakers in Calgary, the capital and largest city in Alberta, and hoping to pass a bylaw that would only allow marijuana smoking indoors. If approved, Calgary residents would face $50 to $100 in fines in caught smoking marijuana outside. The only place where residents would be able to consumer cannabis would be a private home. If passed by a council committee, this law would strictly limit legal cannabis consumption. If you live in an apartment or don’t own your home, you may not be able to smoke indoors in the first place. This legislation would not apply to those with medical marijuana licenses or to specifically designated ‘cannabis gardens’. The concept behind these spaces is similar to a beer garden. They will also be strictly regulated. So far, the rule for a cannabis smoking area is that it has to be separate from beer and cigarette designed areas. You’ll also have to bring your own weed because Alberta law dictates that you can’t smoke cannabis in the same place where you bought it. This law will be difficult, and probably costly, to enforce. How do you distinguish between medical and recreational users? To police everyone smoking marijuana outside will require more police and more government funds. Not only does would this legislation be difficult to enforce, but it would also stigmatize a substance that will be completely legal by the end of the summer. This is just one example of how provincial governments are discriminating against cannabis, despite upcoming legalization. Others are critiquing this measure for unjustly limited legal cannabis consumption for those living in shared spaces and for those who do not own homes. This does not, however, mean that Keating is completely against cannabis. He believes that edibles and inhalers are a better solution, though the former won’t be legal until 2019. Keating is in favor of cannabis-specific locations, describing, “There may need to be certain places where you consume it like a lounge.” This sort of policy is already in place in Ontario. This city in Canada wants to ban all public cannabis consumption, though its residents are conflicted on the matter. In a report on cannabis published in February, 55 percent of Calgary residents surveyed supported regulating marijuana like alcohol. This would mean barring public consumption. Only 32 percent voted to treat cannabis like tobacco in public places. Contrastingly, 43 percent those surveyed in late 2017 voted to permit outdoor cannabis use. 19 percent of Calgary residents in that survey hoped that cannabis would be controlled like alcohol. Next week, a committee will decide on the legislation that would ban public marijuana consumption in Calgary. Considering the restriction already placed on indoor cannabis consumption, some are saying that this bylaw is impractical. It would also be a step in the wrong direction in terms of cannabis tolerance. With Calgary residents divided on the issue of outdoor smoking, we’ll have to wait and see what happens next week. In major medical cannabis news out of South Carolina, a bill that would legalize the drug for seriously ill patients made it out of committee on Thursday and will soon be under consideration in the full Senate. Now that it’s possible for the bill to get a floor vote in both chambers before the end of the current session, legal medical marijuana in South Carolina is closer than ever. On Thursday, the Senate Medical Affairs Committee voted to approve S 212, a bill that would grant qualifying patients access to medical cannabis with a physician’s recommendation. Next up, the bill will face consideration before the full Senate. It will very likely come to a floor vote before the current legislative session’s April 10 deadline. S 212 would task the Department of Health and Environmental Control with regulating and licensing cultivators, processors, dispensaries, and testing labs. Additionally, the department would establish a patient and caregiver registry and distribute registration cards to those enrolled. The Compassionate Care Act, however, prohibits patients from smoking medical cannabis. For patients, the herbaceous form of cannabis is the most cost-effective, but dosing can be more challenging. Healthcare professionals also view smoke inhalation as a health hazard. Other restrictions in S 212 would make South Carolina’s one of the most carefully regulated medical cannabis programs in the country. Those restrictions are the result of lobbying efforts by some in law enforcement. As a result, legislators introduced several additional safeguards and amendments to address law enforcement concerns. And that has upset many supporters of the bill. They feel lawmakers are caving to pressure from police and ignoring testimony from prominent medical professionals. Indeed, State Law Enforcement Division Chief Mark Keel has made repeated statements claiming marijuana has no medical value. He also vowed not to support any legislation that went against the federal ban on cannabis. Moore’s son, a combat veteran, uses medical cannabis to treat his PTSD. He lives in Michigan, one of the 29 states, along with D.C., Guam, and Puerto Rico, with legal medical cannabis. So while medical marijuana in South Carolina is closer than ever before, advocates will likely have to continue to struggle to expand access for ill patients. State representatives who support the bill have broad public support. According to a September 2016 poll, 78 percent of South Carolina residents approve legalizing medical cannabis. Despite the Compassionate Care Act’s progress, there’s still a chance the bill won’t make it out of the legislature this session. The Senate is moving forward. But the House has so far declined to hear its own version of the medical cannabis bill. And that could mean it stalls on S 212. The deadline for S 212 to advance is April 10.